If you have been following along with my "Read with Recipes" this summer (see June and July's posts here and here! 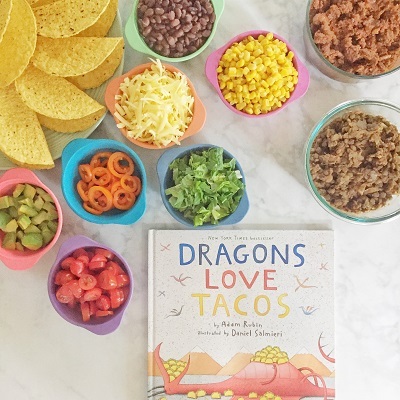 ), you know it is time for me to feature another favorite kid's story alongside Days with Grey and The Mama Workshop, as well as U Ready Teddy and Grace Giggles and Naptime for, "Dragons Love Tacos." This is such a fun kid's story and one I had to make an obvious kid-friendly recipe idea out of: TACOS! With this Build Your Own Taco Bar, you promote kids getting to serve themselves family style while also offering them an assortment of love it, like it, and learning it foods. By allowing your kid to build their own tacos, you also empower them to experiment and yet control the ingredients they want to eat. Even if your kids only eat the tortilla shell and cheese (like mine did), keep this recipe in your meal rotation. By repeatedly offering a meal with such variety like this, your kids continue to see that tacos can be built, eaten, and enjoyed a variety of ways -- all unique to each family member's tastes and preferences. Since not all meals are as easy to customize as this without being a short-order cook, it is great to include opportunities like this if/when you can. So get your copy of Dragons Love Tacos and dig into this recipe! I bought my copy at Half Price Books, but here is an affiliate link to order on Amazon if that's easier for you! 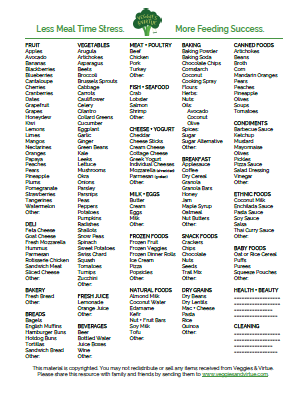 This doesn't cost you more to use, but it does help Veggies & Virtue to continue sharing more ideas like this one each month! For more on my disclosure policy, please visit here. Of note: we found all of the above ingredients at Trader Joe's. 1. To prepare taco meat, follow the instructions on the package of taco seasoning: lightly sauteing the diced onions, then adding and browning the ground beef. Drain excess fat, then add in the taco seasoning and the tomato sauce. Allow to simmer until all flavors have combined. Transfer into a glass dish until time to serve. 2. To prepare taco meat alternative, add the rinsed lentils, vegetable stock, diced onion, and taco seasoning to a crock pot. Cover and cook on high for 3-4 hours, or until all liquid is absorbed and the lentils are soft. Transfer into a glass dish until time to serve. 3. 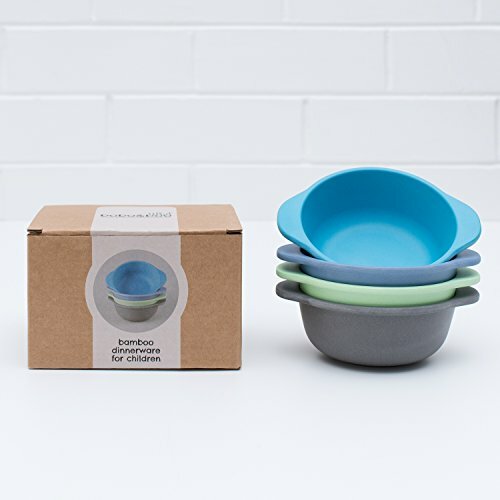 Set out all of the desired toppings in individual bowls with spoons. Allow each member to assemble their own taco with the desired toppings. Then sit back, eat, and enjoy! 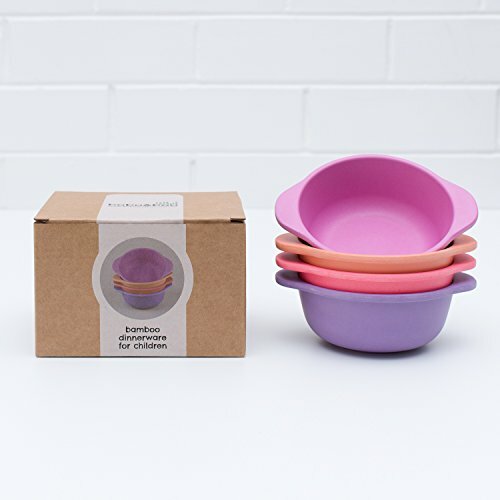 For the colorful bowls seen in these images of our family taco bar, visit Bobo & Boo on Amazon. These are our favorite snack bowls, but also they are ideal for "Build Your Own" bars like this taco one! Disclosure: The following are affiliate links. Please see my complete disclosure policy here. 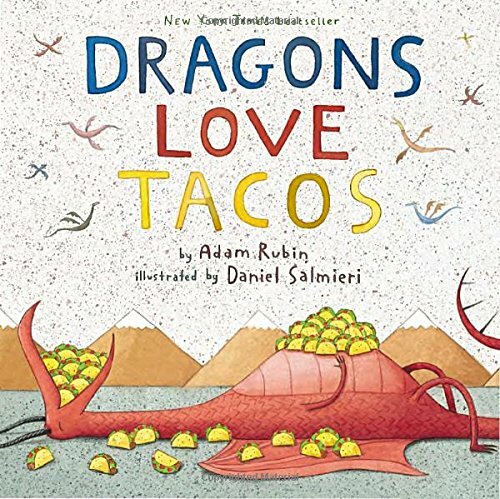 Visit each of the following for fun, engaging, and educational ways to also enjoy "Dragons Love Tacos" all month long. That's a wrap for this month's Read with Recipes! I hope you enjoy this meal idea and all the learning activities to engage your littles alongside it!